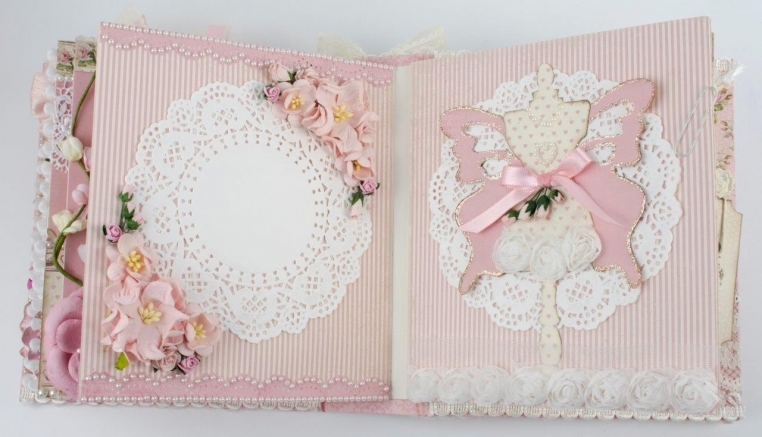 All the feminine papers, images, tags, and borders from this collection are so great for frilly girl projects! 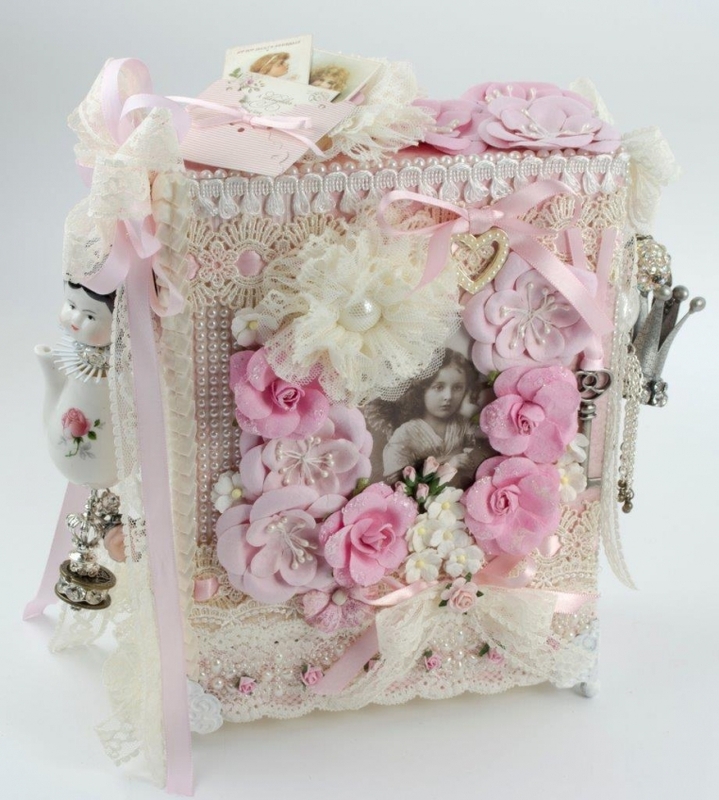 I made a chipboard box to hold this large chipboard album and everything is covered with these precious papers. Albums are always such wonderful gifts, and these papers are just beautiful for them! It is one of my favorite collections for sure! 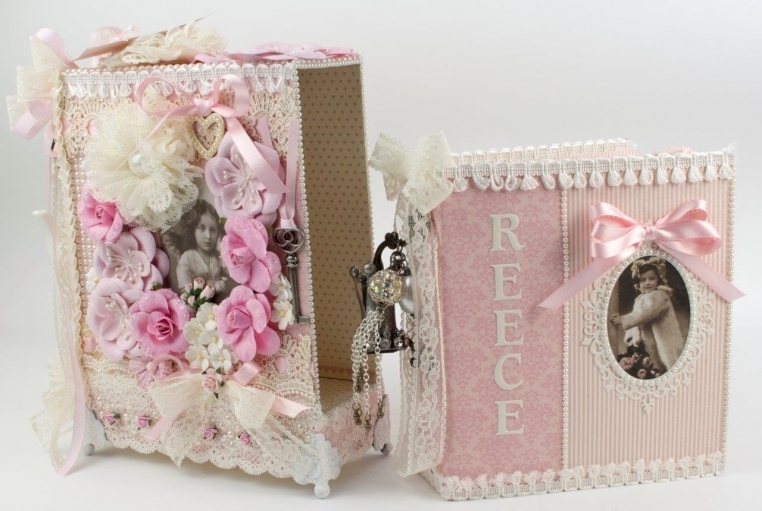 I am a beginner scrapbooker who loves frilly shabby chic etc. I am disabled and want to learn all I can about arts and crafts. I just happen to come across your daughter album. Your work is absolutely stunning. I would like to give this a try. However where did you get all the lace and embellishes, flowers, pockets? I’d like to try making this myself. I’am a great fan of you, I always follow you when you have a new creation.